Cyborg Idea stock images by Aurielaki. 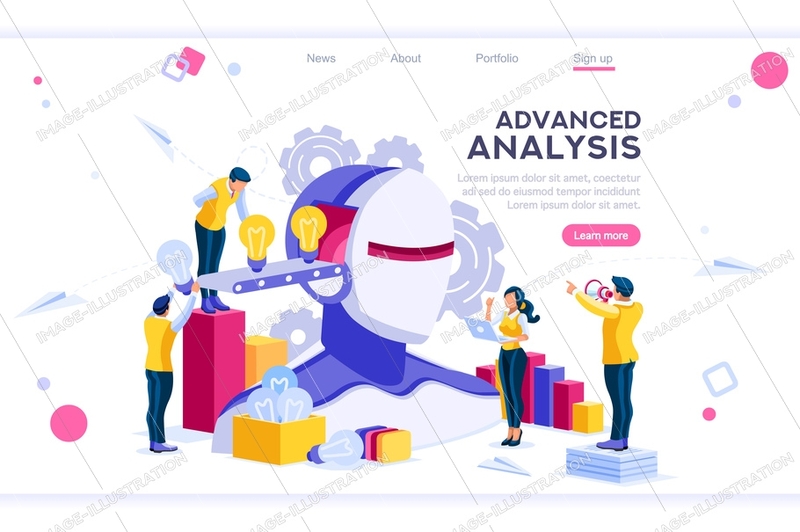 Banner Concept illustrations in EPS10 EPS JPG AI SVG. SKU: Cyborg-Idea-Concept-Banner-AurielAki. Categories: Artificial Intelligence Ideas, Isometric Close Up View, New. Tags: account application, ai, artificial, augmented, automated, automation, background, banner, character, computer, contact, cooperation, cybernetic, cyborg, data, digital, engineer, engineering, future, futuristic, hero, human, idea, images, industry, infographics, intelligence, interaction, interactive, isometric, learning, machine, man, mind, network, networks, partnership, people, person, puzzle, reality, robot, robotic, robotics, science, strategy, tech, think, virtual, web.